New Research Casts Doubt on Doomsday Water Shortage Predictions: Scientific American. A growing number of studies based on satellite data and stream chemistry analyses have found that far less surface water comes from glacier melt than previously assumed. In Peru’s Rio Santa, which drains the Cordilleras Blanca mountain range, glacier contribution appears to be between 10 and 20 percent. In the eastern Himalayas, it is less than 5 percent. “If anything, that’s probably fairly large,” said Richard Armstrong, a senior research scientist at the Boulder, Colo.-based Cooperative Institute for Research in Environmental Sciences (CIRES), who studies melt impact in the Himalayas. The Himalayan glaciers feed into Asia’s biggest rivers: the Indus, the Ganges and the Brahmaputra in India, Pakistan and Bangladesh, and the Yellow and Yangtze rivers in China. Early studies pegged the amount of meltwater in these river basins as high as 60 or 70 percent. But reliable data on how much water the glaciers release or where that water goes have been difficult to develop. Satellite images can’t provide such regular hydrometeorological observations, and expeditions take significant time, money and physical exertion. “There has been a lot of misinformation and confusion about it,” said Peter Gleick?, co-director of the California-based Pacific Institute for Studies in Development, Environment and Security. “About 1.3 billion people live in the watersheds that get some glacier runoff, but not all of those people depend only on the water from those watersheds, and not all the water in those watersheds comes from glaciers. Most of it comes from rainwater,” he said. A key step forward came last year when scientists at Utrecht University in the Netherlands, using remote sensing equipment, found that snow and glacier melt is extremely important to the Indus and Brahmaputra basins, but less critical to others. In the Indus, they found, the meltwater contribution is 151 percent compared to the total runoff generated at low elevations. It makes up about 27 percent of the Brahmaputra — but only between 8 and 10 percent for the Ganges, Yangtze and Yellow rivers. Rainfall makes up the rest. “Hyperbole has a way of creeping in here,” said Bryan Mark, an assistant professor of geography at Ohio State University and a researcher at the Byrd Polar Research Center. Mark, who focuses on the Andes region, developed a method of determining how much of a community’s water supply is glacier-fed by analyzing the hydrogen and oxygen isotopes in water samples. He recently took that experience to Nepal, where he collected water samples from the Himalayan glacier-fed Kosi River? as part of an expedition led by the Mountain Institute. Based on his experience in the Rio Santa — where it was once assumed that 80 percent of water in the basin came from glacier melt — Mark said he expects to find that the impact of monsoon water is greatly underestimated in the Himalayas. Jeff La Frenierre, a graduate student at Ohio State University, is studying Ecuador’s Chimborazo glacier, which forms the headwaters of three different watershed systems, serving as a water source for thousands of people. About 35 percent of the glacier coverage has disappeared since the 1970s. La Frenierre first came to Ecuador as part of Engineers Without Borders to help build a water system, and soon started to ask what changes in the mountain’s glacier coverage would mean for the irrigation and drinking needs of the 200,000 people living downstream. Working with Mark and analyzing water streams, he said, is upending many of his assumptions. Those aren’t messages that environmental activists will likely find easy to hear. Armstrong recalled giving a presentation in Kathmandu on his early findings to a less-than-appreciative audience. The more modest numbers, they and other scientists stressed, don’t mean that glacier melt is unimportant to river basins. Rather, they said, they mean that the understanding of water systems throughout the Himalayan region must improve and water management decisions will need to be made at very local levels. 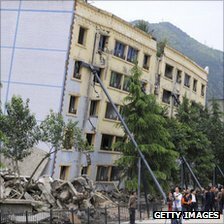 BBC News – Can we predict when and where quakes will strike?. Long-range earthquake predictions – really? 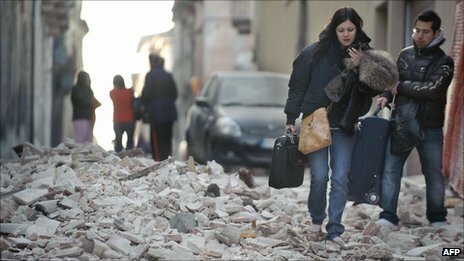 This week, six seismologists go on trial for the manslaughter of 309 people, who died as a result of the 2009 earthquake in l’Aquila, Italy. The prosecution holds that the scientists should have advised the population of l’Aquila of the impending earthquake risk. But is it possible to pinpoint the time and location of an earthquake with enough accuracy to guide an effective evacuation? There are continuing calls for seismologists to predict where and when a large earthquake will occur, to allow complete evacuation of threatened areas. An earthquake is caused when rocks in the Earth’s crust fracture suddenly, releasing energy in the form of shaking and rolling, radiating out from the epicentre. The rocks are put under stress mostly by friction during the slow, 1-10 cm per year shuffling of tectonic plates. The release of this friction can happen at any time, either through small frequent fractures, or rarer breaks that release a lot more energy, causing larger earthquakes. It is these large earthquakes that have devastating consequences when they strike in heavily populated areas. Attempts to limit the destruction of buildings and the loss of life mostly focus on preventative measures and well-communicated emergency plans. Predicting an earthquake with this level of precision is extremely difficult, because of the variation in geology and other factors that are unique to each location. Attempts have been made, however, to look for signals that indicate a large earthquake is about to happen, with variable success. Historically, animals have been thought to be able to sense impending earthquakes. Noticeably erratic behaviour of pets, and mass movement of wild animals like rats, snakes and toads have been observed prior to several large earthquakes in the past. Following the l’Aquila quake, researchers published a study in the Journal of Zoology documenting the unusual movement of toads away from their breeding colony. But scientists have been unable to use this anecdotal evidence to predict events. The behaviour of animals is affected by too many factors, including hunger, territory and weather, and so their erratic movements can only be attributed to earthquakes in hindsight. When a large amount of stress is built up in the Earth’s crust, it will mostly be released in a single large earthquake, but some smaller-scale cracking in the build-up to the break will result in precursor earthquakes. These small quakes precede around half of all large earthquakes, and can continue for days to months before the big break. Some scientists have even gone so far as to try to predict the location of the large earthquake by mapping the small tremors. The “Mogi Doughnut Hypothesis” suggests that a circular pattern of small precursor quakes will precede a large earthquake emanating from the centre of that circle. While half of the large earthquakes have precursor tremors, only around 5% of small earthquakes are associated with a large quake. So even if small tremors are felt, this cannot be a reliable prediction that a large, devastating earthquake will follow. “There is no scientific basis for making a prediction”, said Dr Richard Walker of the University of Oxford. In several cases, increased levels of radon gas have been observed in association with rock cracking that causes earthquakes. Radon is a natural and relatively harmless gas in the Earth’s crust that is released to dissolve into groundwater when the rock breaks. Similarly, when rock cracks, it can create new spaces in the crust, into which groundwater can flow. Measurements of groundwater levels around earthquake-prone areas see sudden changes in the level of the water table as a result of this invisible cracking. Unfortunately for earthquake prediction, both the radon emissions and water level changes can occur before, during, or after an earthquake, or not at all, depending on the particular stresses a rock is put under. The minute changes in the movement, tilt, and the water, gas and chemical content of the ground associated with earthquake activity can be monitored on a long term scale. Measuring devices have been integrated into early warning systems that can trigger an alarm when a certain amount of activity is recorded. Such early warning systems have been installed in Japan, Mexico and Taiwan, where the population density and high earthquake risk pose a huge threat to people’s lives. But because of the nature of all of these precursor reactions, the systems may only be able to provide up to 30 seconds’ advance warning. “In the history of earthquake study, only one prediction has been successful”, explains Dr Walker. The magnitude 7.3 earthquake in 1975 in Haicheng, North China was predicted one day before it struck, allowing authorities to order evacuation of the city, saving many lives. But the pattern of seismic activity that this prediction was based on has not resulted in a large earthquake since, and just a year later in 1976 a completely unanticipated magnitude 7.8 earthquake struck nearby Tangshan causing the death of over a quarter of a million people. The “prediction” of the Haicheng quake was therefore just a lucky unrepeatable coincidence. A major problem in the prediction of earthquake events that will require evacuation is the threat of issuing false alarms. Scientists could warn of a large earthquake every time a potential precursor event is observed, however this would result in huge numbers of false alarms which put a strain on public resources and might ultimately reduce the public’s trust in scientists. “Earthquakes are complex natural processes with thousands of interacting factors, which makes accurate prediction of them virtually impossible,” said Dr Walker. Seismologists agree that the best way to limit the damage and loss of life resulting from a large earthquake is to predict and manage the longer-term risks in an earthquake-prone area. These include the likelihood of building collapsing and implementing emergency plans. “Detailed scientific research has told us that each earthquake displays almost unique characteristics, preceded by foreshocks or small tremors, whereas others occur without warning. There simply are no rules to utilise in order to predict earthquakes,” said Dr Dan Faulkner, senior lecturer in rock mechanics at the University of Liverpool. 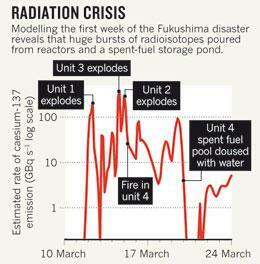 Zone Near Fukushima Daiichi May Be Off Limits for Decades – NYTimes.com. OK, climate sceptics: here’s the raw data you wanted – environment – 28 July 2011 – New Scientist. Temperature records going back 150 years from 5113 weather stations around the world were yesterday released to the public by the Climatic Research Unit (CRU) at the University of East Anglia in Norwich, UK. The only records missing are from 19 stations in Poland, which refused to allow them to be made public. The university were ordered to release data by the UK Information Commissioner’s Office, following a freedom-of-information request for the raw data from researchers Jonathan Jones of the University of Oxford and Don Keiller of Anglia Ruskin University in Cambridge, UK. Davies says that the university initially refused on the grounds that the data is not owned by the CRU but by the national meteorological organisations that collect the data and share it with the CRU. When the CRU’s refusal was overruled by the information commissioner, the UK Met Office was recruited to act as a go-between and obtain permission to release all the data. Poland refused, and the information commissioner overruled Trinidad and Tobago’s wish for the data it supplied on latitudes between 30 degrees north and 40 degrees south to be withheld, as it had been specifically requested by Jones and Keiller in their FOI request and previously shared with other academics. The end result is that all the records are there, except for Poland’s. Davies’s only worry is that the decision to release the Trinidad and Tobago data against its wishes may discourage the open sharing of data in the future. Other research organisations may from now on be reluctant to pool data they wish to be kept private. Thomas Peterson, chief scientist at the National Climatic Data Center of the US National Oceanographic and Atmospheric Administration (NOAA) and president of the Commission for Climatology at the World Meteorological Organization, agrees there might be a cost to releasing the data. Davies is confident that genuine and proper analysis of the raw data will reproduce the same incontrovertible conclusion – that global temperatures are rising. “The conclusion is very robust,” he says, explaining that the CRU’s dataset of land temperatures tally with those from other independent research groups around the world, including those generated by the NOAA and NASA. “Should people undertake analyses and come up with different conclusions, the way to present them is through publication in peer-reviewed journals, so we know it’s been through scientific quality control,” says Davies. Other mainstream researchers and defenders of the consensus are not so confident that the release will silence the sceptics. “One can hope this might put an end to the interminable discussion of the CRU temperatures, but the experience of GISTEMP – another database that’s been available for years – is that the criticisms will continue because there are some people who are never going to be satisfied,” says Gavin Schmidt of Columbia University in New York. The CRU and its leading scientist, Phil Jones, were at the centre of the so-called “climategate” storm in 2009 when the unit was accused of withholding and manipulating data. It was later cleared of the charge. This Is the Warmest Year Ever On Record! This Is the Warmest Year Ever Recorded – Seattle News – The Daily Weekly. There’s never been a hotter year than this year. The National Oceanic and Atmospheric Administration has been tracking temperature measurements for both the water and the land since 1880, and so far 2010 is registering at about one degree above the 20th century average. Pretty, possibly apocalyptic pictures after the jump. Canada and the Northeast have experienced the most unseasonably warm temperatures in the year to date. While Russia, which has been aflame for the past month, was by far the warmest its ever been in the month of July, with Moscow’s previous high temperature being eclipsed by a full four degrees when the mercury hit 102 on July 30. Humans Dwarf Volcanoes for CO2 Emissions : Discovery News. Human activities emit roughly 135 times as much climate-warming carbon dioxide as volcanoes each year. Volcanoes emit less than cars and trucks, and less, even, than cement production. Climate change skeptics have claimed the opposite. The eruption of the Grimsvotn volcano on May 23, 2011 above Iceland. Click to enlarge this image. Colossal, mind-bogglingly hot and capable of spewing billowing clouds of flight-grounding smoke and searing, molten lava, volcanoes are spectacular displays of the massive forces at work inside our planet. Yet they are dwarfed by humans in at least one respect: their carbon dioxide emissions. Despite statements made by climate change deniers, volcanoes release a tiny fraction of the amount of carbon dioxide emitted by human activities every year. In fact, humans release roughly 135 times more carbon dioxide annually than volcanoes do, on average, according a new analysis. Put another way, humans emit in under three days the amount that volcanoes typically release in a year, according to the best estimates of volcanic emissions. 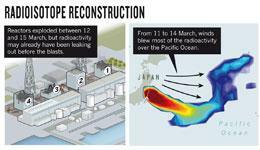 NEWS: Climate Change Impact: Underestimated? “The question of whether or not volcanoes emit more CO2 than human activity is one I get more than any question in my email from the general public.’ said Terrence Gerlach, a retired volcanologist, formerly with the Cascades Volcano Observatory, part of the US Geological Survey in Vancouver, Wash. Even earth scientists who work in other areas often pose him the question, he said. To lay out a clear answer, Gerlach compiled the available estimates of CO2 emissions from all global volcanic activity on land and undersea and compared them with estimates for human emissions. He published the compilation in Eos, a publication of the American Geophysical Union. Researchers estimate the amounts of carbon dioxide released by terrestrial volcanic eruptions by methods including remote sensing or flying through clouds of erupting volcanic gas, and by measuring certain isotope concentrations near undersea volcanoes. Carbon dioxide is dissolved in magma at great depths and is released as the magma rises to the surface. “A lot of climate skeptics claim that volcanoes emit more CO2 than humans do,” Gerlach said. “They never give any numbers, but the fact is you will never be able to find the volcanic gas scientist that will agree to that,” he said. One example of these skeptic’s claims is the 2009 book, “Heaven and Earth: Global Warming, the Missing Science” by Ian Plimer of the University of Adelaide, who did not respond to Discovery News’ requests for comment. DNEWS VIDEO: Could humans MAKE a volcano erupt? Get that answer and more. While there is uncertainty in the measurements–researchers estimate between 0.13 and 0.44 billion metric tons per year, with their best estimates between 0.15 and 0.26 billion tons–even the highest end of the range is dwarfed by anthropogenic emissions of 35 billion metric tons in 2010. Gerlach noted that human land-use changes alone, which include deforestation, release 3.5 billion metric tons per year. Cars and light-duty trucks produce 2 billion metric tons; even cement production produces 1.5 billion tons. Any of these by itself is still several times higher than the annual emissions of all of the world’s volcanoes . Pakistan or Kazakhstan each produce about the amount of CO2 as volcanoes do each year, Gerlach noted in the article. In yet another comparison, Gerlach reported that in order for volcanic emissions to match those made by humans, the May 18, 1980, Mount St. Helens eruption would need to happen every 2.5 hours. The June 15, 1991, Mount Pinatubo eruption would need to occur every 12.5 hours. “Even if you do the reverse and you compute how much volcanism should happen to match atmospheric levels, you end up with completely unrealistic eruption rates,” he said. Sea levels rising at fastest rate in 2,000 years – Telegraph. Sea levels are rising faster than at any point in the past 2,000 years because of the impact of global warming, scientists have found.